From the 6th till 23rd of March Cyprus has become a part of the shooting of the new International film project called Cyril and Methodius. This 105' long Czech movie (release in Nov 2013) and a 4x52' long TV documentary drama (release in June 2013) is coproduced by Slovakia, Russia and Slovenia. 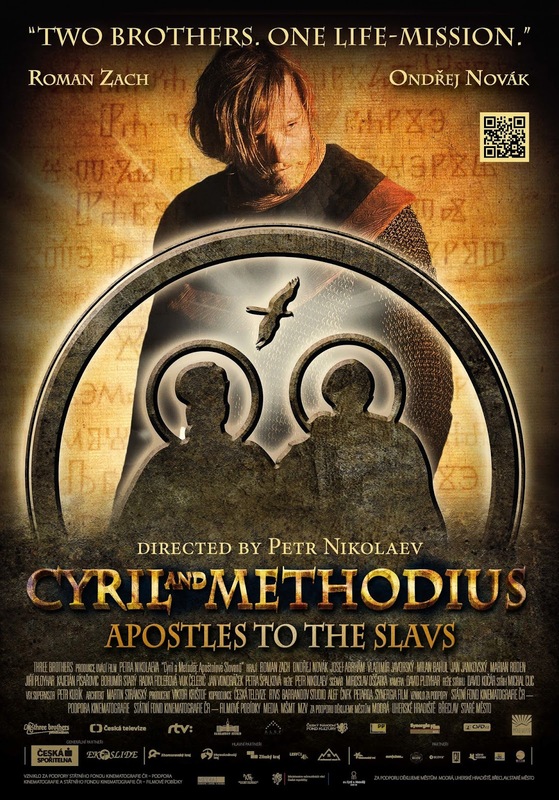 The film follows a story about Byzantine Greek brothers who influenced the cultural development of all Slavs (they are credited with devising the Glagolitic alphabet, a new law system, the development of the liturgy, the translation of the Old Testament) and received the title "Apostles to the Slavs". They are venerated in the Orthodox Church as saints with the title of "equal-to-apostles". Pope Leo XIII introduced their feast into the calendar of the Roman Catholic Church and Pope John Paul II declared them co-patron saints of Europe. Project Cyril and Methodius was supported by Media Development EU fund and it is a part of the big European celebration (also celebrated by UNESCO) of the 1150th anniversary of their mission to Great Moravia. The reason why the filmmakers have chosen Cyprus over other countries were the spectacular landscape, beautiful sea, short distances between various environments and very well preserved sights especially from the early Christian period. The goal of the crew led by the famous director Petr Nikolaev and the producer Viktor Kristof was to depict some crucial scenes of the early carrier of Cyril and Methodius. The pictures shot in Cyprus unfolds with the brothers' most dramatic episodes of their fates in Constantinople and the first missionary journeys to Arabia and Kazaks where they, among other things, exhume the remains of the martyr and third Pope, Clement the First, from the sea and also their journey to Olympia. Here is a short review of some of the locations used for the shooting: Agia Napa Monastery, Petra tou Romiou, Cape Greko, Venetian bridge and waterfalls in Troodos, Helenistic Tombs of Macronissos, Camel Park in Mazotos. The realization of the filmmaking has been supported by Cyprus Tourism Organization and special thanks go to the St. Neophytos Monastery in Paphos.